the quality of service I received was outstanding. - Bliss Builders, Inc.
the quality of service I received was outstanding. ← We trust Bliss Builders to do an outstanding job on any repairs our home needs. Mike Bliss did an excellent job in replacing and painting our window trims. He was highly professional and provided an estimate quickly and completed the job 100% to our satisfaction on time. I recommend him and his company highly. He is truly focused on customer satisfaction. 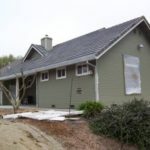 - Ron K.
With Bliss Builders you will get “old school” attention to detail and quality and impeccable integrity as Mike has given us as well as his other clients. The level of service at Bliss Builders, Inc. is fantastic. We trust Bliss Builders to do an outstanding job on any repairs our home needs.